The book is aimed at all those who wish to introduce Irish in a fun and playful way. 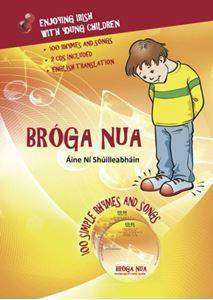 A collection of 100 rhymes and songs in Irish with English translation. Includes two CD's. Suitable for children to use on their own or parents, grandparents, teachers, crèche and preschool providers.